Hip hop musical Hamilton took home seven trophies at the Olivier Awards in London, falling just short of a new record. The main awards claimed by Lin-Manuel Miranda and his cast were best new musical, best actor, best supporting actor and outstanding achievement in music. The seven wins did not beat Harry Potter And The Cursed Child's record haul of nine trophies last year, but was on par with the most awarded musical to date - Matilda.The show, which turns an early chapter of US history into modern hip hop, opened in London in December.The Olivier Awards are the British equivalent of the American Tony Awards, and have gradually matched their US counterparts in prestige.Parading through the red carpet on Sunday evening were stars like Cuba Gooding Jr, Brian May, the Rolling Stones' Ronnie Wood and Hollywood veteran Michael Sheen.But there was a sombre tone this year, as the Time's Up movement took centre stage after allegations of sexual misconduct marred the industry. Some actresses brought guests from feminist groups and organisations working against domestic violence. "The strength of the movement is now so huge, I don't think women feel frightened anymore to come forward - and men, when they've been victims," actress Lesley Manville said at the ceremony. The second most awarded play of the evening was Jez Butterworth's The Ferryman, which picked up three prizes including best play, best director for Sam Mendes and best actress for Laura Donnelly.Breaking Bad star Bryan Cranston was named best actor in a play for his National Theatre performance as a news anchorman in Network.He beat Andrew Garfield's British revival of Angels In America and Andrew Scott's Hamlet. "It's very difficult to be mad as hell when you're holding an Olivier," Cranston said, in a nod to his "mad as hell" character. 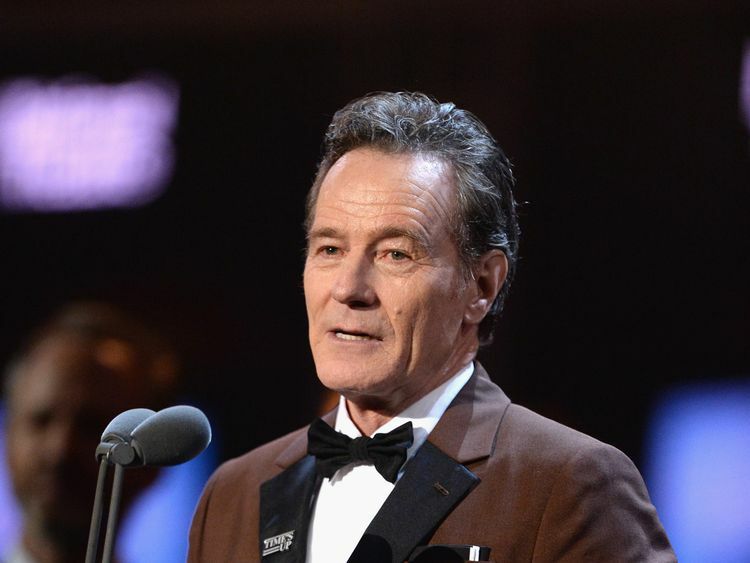 "Television, a phone, a tablet - they're tools and they have to be used properly," Cranston said. "But they can also be misused. A hammer is a great tool to drive a nail into a piece of wood, but if I hit you on the head with it, I've misused it. "Being overwhelmed with information doesn't make us wiser. I think it makes us dumber. "The trophy for best actress went to Shirley Henderson for the Bob Dylan musical Girl From The North Country. » Olivier Awards: Could Hamilton get a record haul?